Prepare beef tenderloin by trimming off any large pieces of fat or tendon. If you're friendly, your butcher might do this for you. Season it well with salt and pepper. Add oil to a large heavy pan over high heat. Sear tenderloin for about 3 minutes per side until well browned. 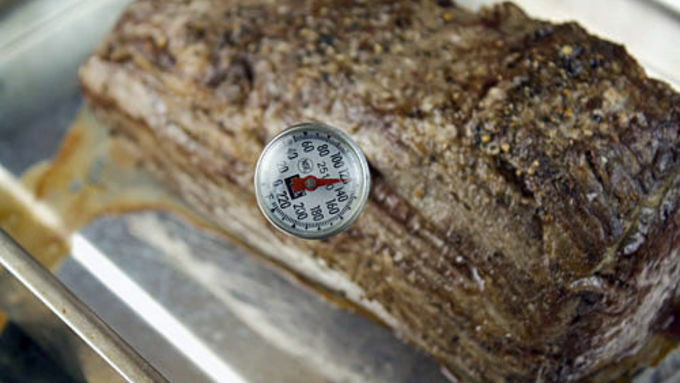 Add tenderloin to a roasting pan and roast for 25-30 minutes at 350°F until it reaches an internal temperature of 120-125°F (for medium rare). Be careful not to overcook. 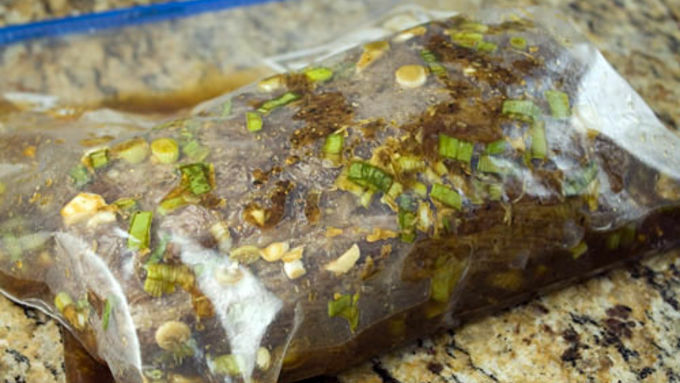 Add marinade ingredients to a large plastic bag. Mix well. Once tenderloin is out of oven and cooled a bit, add to bag. 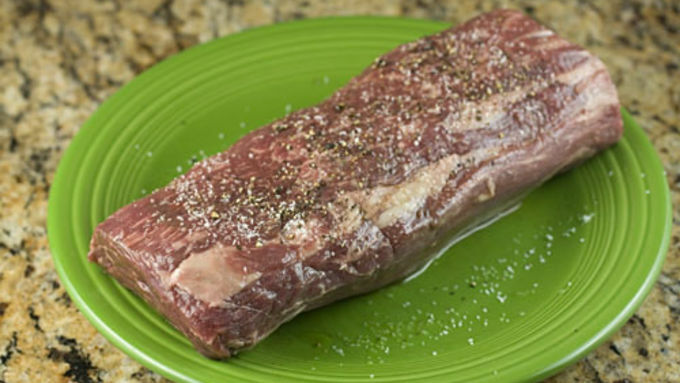 Refrigerate tenderloin in marinade for at least 6 hours, but you could also do overnight. 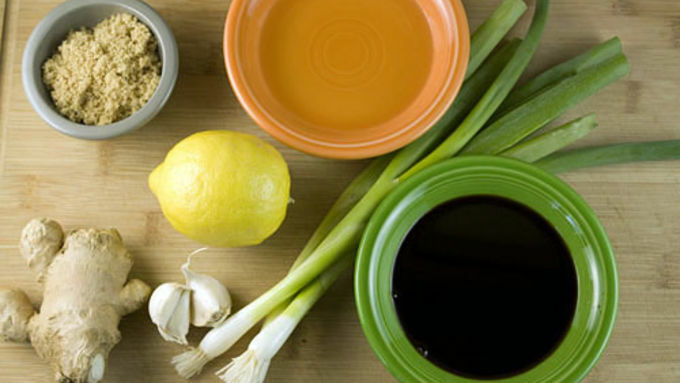 Turn it occasionally to make sure marinade is evenly covering the tenderloin. When ready to make the salad, dice salad ingredients and make a bed on each plate. Slice tenderloin very thinly using a sharp knife. 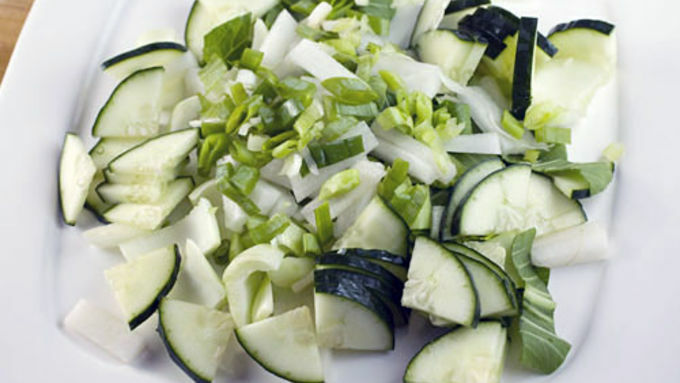 3-4 slices per salad is a good serving. Drizzle dressing over salad before serving and garnish with chives and sprouts. 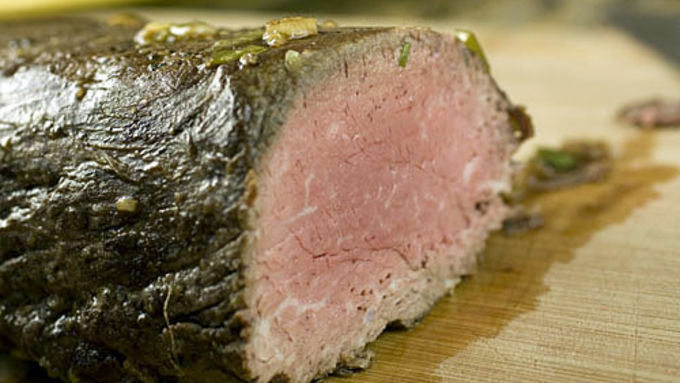 But if you really want to make the meal something special, beef tenderloin is the way to go. For those that don't know what beef tenderloin is, it's the large cut of meat which produces the filet mignon. It's very tender (hence it's name) and has great flavor. It also happens to be pretty pricey. A two pound beef tenderloin will probably run you in about $35-40. The flavors are really bright and fresh. It would be perfect on a hot summer day! Plus, if you can get through the tenderloin roasting without overcooking it, it's a pretty easy dish to make. 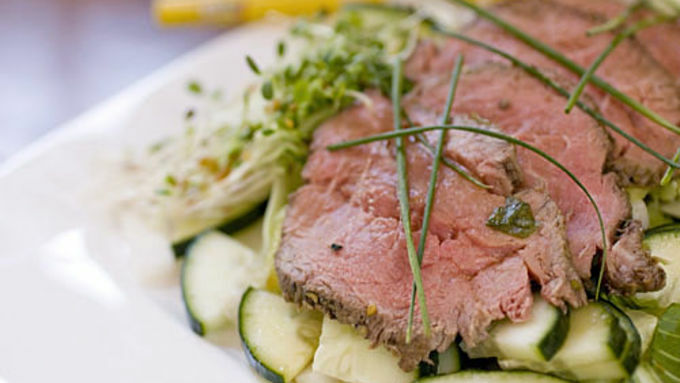 Besides cold cuts, not many Americans eat cold beef. It's just not something that seems appealing to a majority of people. But trust me, it can be one of the most delicious ways to prepare beef. The Japanese have a fantastic method of preparing beef (they also use it for fish) called "Tataki" which results in thinly sliced, perfectly flavored layers of beef that can be served over any number of things. 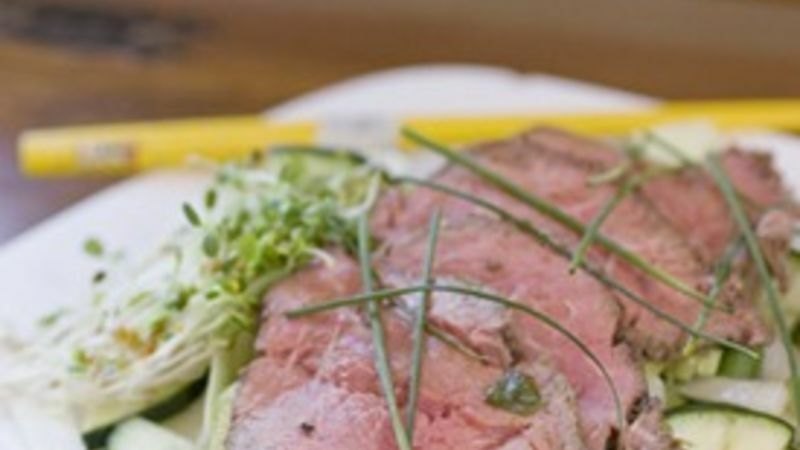 The key to getting good results in this beef tataki recipe is to not overcook the beef and to marinate it AFTER cooking it. You can technically use a lot of different steak cuts for this dish. I think something like flank steak would work okay.